Darwin's Theory of Evolution - What Is Natural Selection? 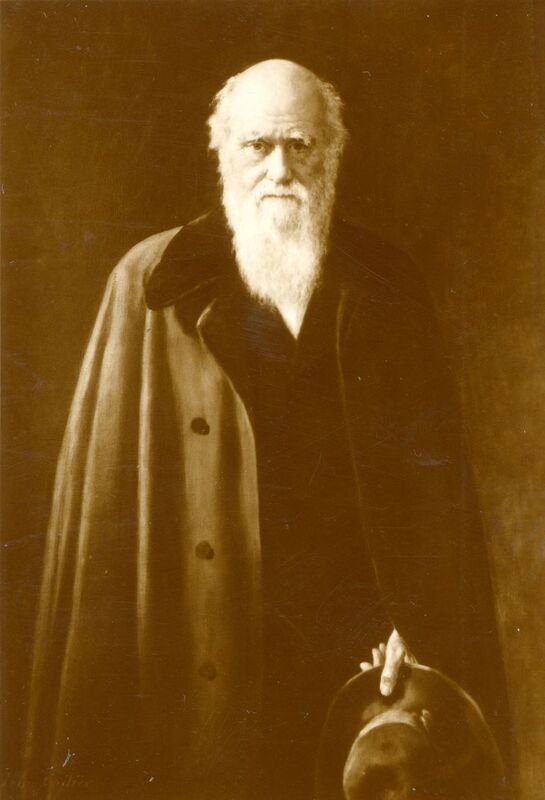 Charles Darwin was a British scientist of the 19th century who first theorized that all species evolved from others. Within his body of work, he proposed ideas which have come to be known as the Theory of Evolution, which is supported by the process of natural selection. Darwin first published these theories in a volume called On the Origin of Species in 1859. In effect, the theory of evolution states that all living things have evolved from other living things. All living things can trace their roots to other species that came before them. Species are continuously changing, sometimes splitting off to become new species. Natural selection describes the way species adapt to their environment, making them more able to survive - and evolve - as the environment changes. The process of natural selection starts with individuals who have genes that produce characteristics that give them a survival advantage. This survival advantage means you are more likely to live long enough to reproduce and give this advantage to your children. Over generations, more and more of the population has this advantage as those without it are more likely to die before reproducing. An example of that adaptation would be the way human beings have evolved to be taller or to walk upright. Another example would be that smaller animals that are preyed upon by larger animals have evolved to run faster than their predators. Environmental pressure could be a drought that favors plants and animals who can survive with less water or who are able to move to places that have more water. The drought doesn't create the traits in these plants and animals, but it is more likely to kill those who don't have the traits needed. Only traits that are genetically coded can be passed to future generations to help their survival. "Survival of the fittest" is a phrase also used to describe natural selection. Some people credit Darwin with the phrase. However, while Darwin did adopt that phrase in a later edition of his series, the person who first used the phrase was a colleague of Darwin's, British philosopher Herbert Spencer. Bacteria and viruses which cause people to get sick and die have evolved to adapt to their hosts. Examples are nosocomial infections like MRSA and Clostridium difficile or illnesses and pandemics like H1N1 swine flu. Antibiotic-resistant bacteria evolve in hospital and nursing home settings where antibiotics are in use. The antibiotics may kill most of the bacteria, but a small number have the ability to survive (survival of the fittest) and these reproduce. Natural selection is at work. The resistant bacteria can now thrive, replacing the bacteria that were killed by the antibiotic. As a result, there is always a quest for new antibiotics that bacteria have not yet developed resistance to. Personalized medicine and the Human Genome Project are both partially based on Darwin's theories. The genetic code of human beings is altered by traits acquired by humans over many generations.